Whether you’re ready to retire or just ready to get your calm on, these U.S. towns offer four options for living a low-stress life. We’ve picked these four because of their ease of livability and their access to nature, and many even boast sophisticated cultural attractions. At the intersection of desert and mountains, Boise, Idaho, is a mid-size city (almost 675,000 residents; the city proper has about 205,000) that provides a great mix of urban and outdoors. 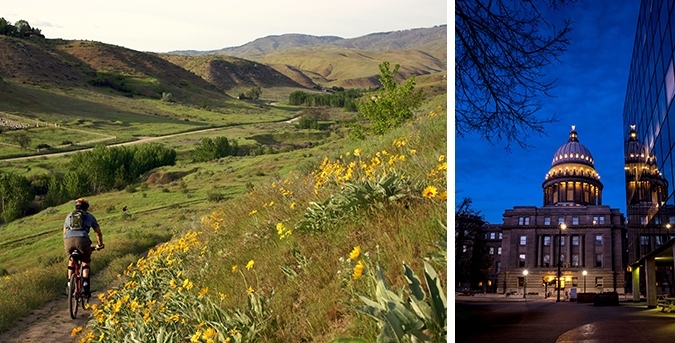 Boise lends itself to a calmful lifestyle with its easy access to nature and arts. The Boise Foothills contain more than 135 miles of nationally acclaimed hiking and mountain biking trails, and the Boise River runs right through the city with 25 miles of trails along it. 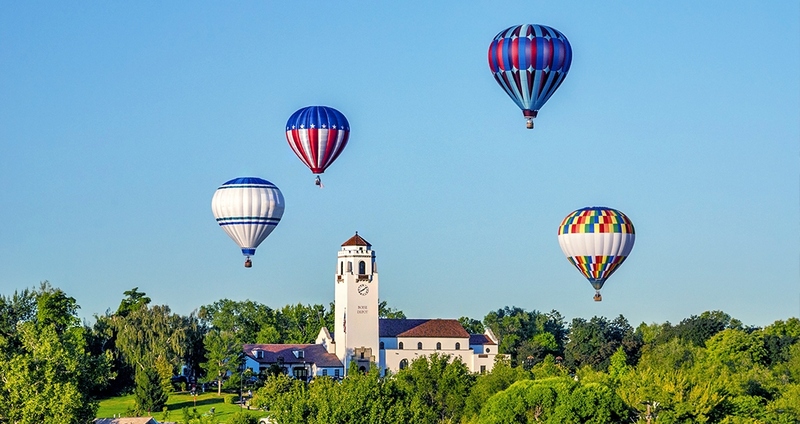 The college town (home to Boise State) includes a rich variety of culture as well, from the Boise Philharmonic to Ballet Idaho and a host of public museums. The cost of living in Boise is relatively low—the median home price is $241,000. Flanked by mountain ranges, Ashland, Oregon, is the epitome of low-stress living. The small town (population about 20,000) draws retirees looking to spend their time in nature and enjoy low-key arts events. Ashland is the home of the renowned Oregon Shakespeare Festival. The 93-acre Lithia Park located downtown is considered one of the country’s most beautiful parks. The small scale of Ashland makes for a low-stress life where time is not spent driving but rather enjoying the charming downtown and surrounding nature. The downside to this idyllic life is the cost. By Oregon standards real estate is high, with the median home price at almost $400,000. Before you think Arkansas, really? just keep reading. This state is home to 52 state parks and 7 national parks. Among those is the celebrated Hot Springs National Park located inside Hot Springs city limits. 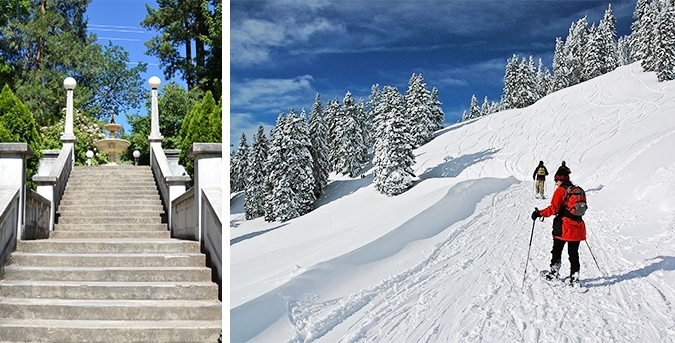 The park boasts 47 thermal springs and is the country’s only national park located in a town. The town’s many bathhouses range from lux to relaxed and allow you to soak to your heart’s content. Hot Springs consists of about 45 percent retirees. A good aspect of that is that many activities are geared to seniors, such as 175 volunteer organizations—and endless soaking in the healing waters. 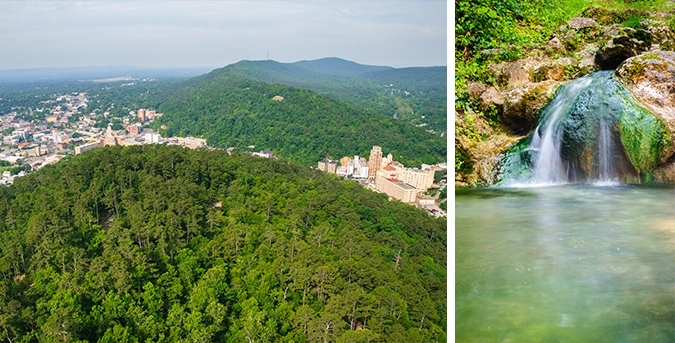 Located in a valley at the edge of the Ouachita National Forest, Hot Springs is surrounded by five lakes making for beautiful excursions. The median home price is $115,000. If you’ve always dreamed of living near the beach, then Sarasota, Florida, may be the spot for you to find your paradise. The weather is dreamy (albeit summers are a bit hot), the surrounding beaches are pristine and filled with wildlife, and there’s even a solid dose of culture—Sarasota boasts a symphony, ballet and opera house. Because Sarasota is located on the warm, calm waters of the Gulf of Mexico, you’ll discover birds and wildlife—like manatees and dolphins—that you won’t find on the Atlantic. 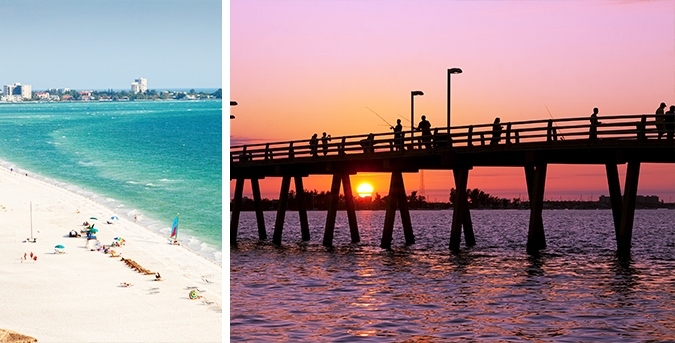 The keys off Sarasota’s mainland are mini tropical islands, replete with white sand and clear blue waters. The median home price is $261,000.